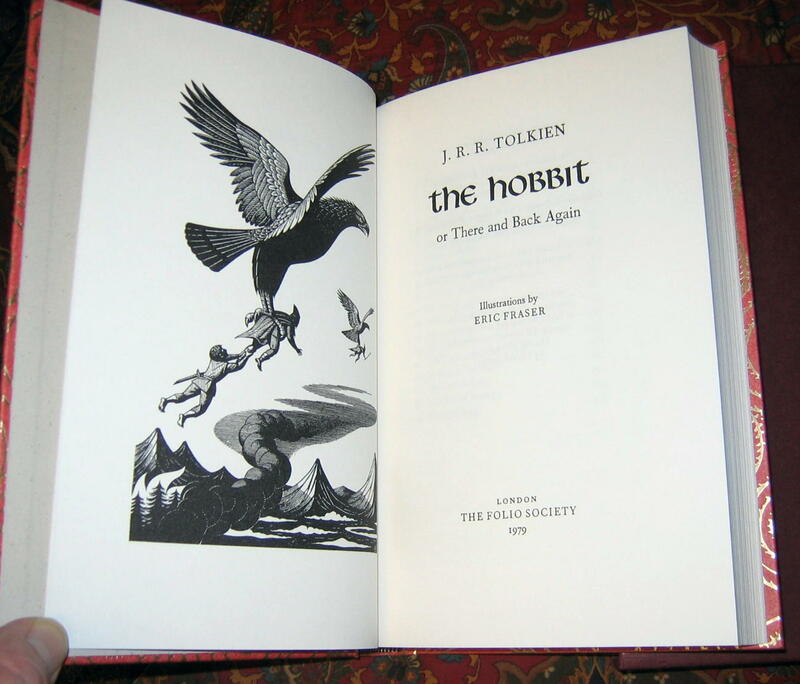 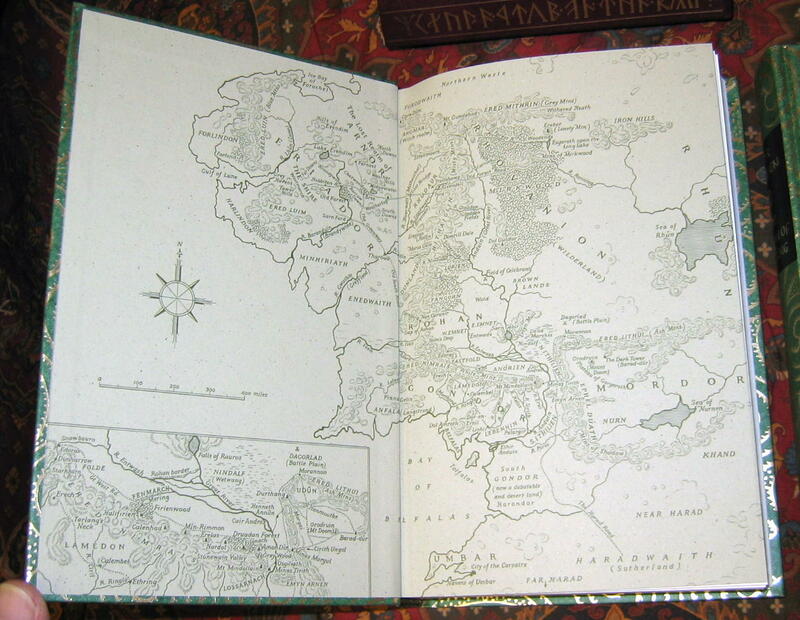 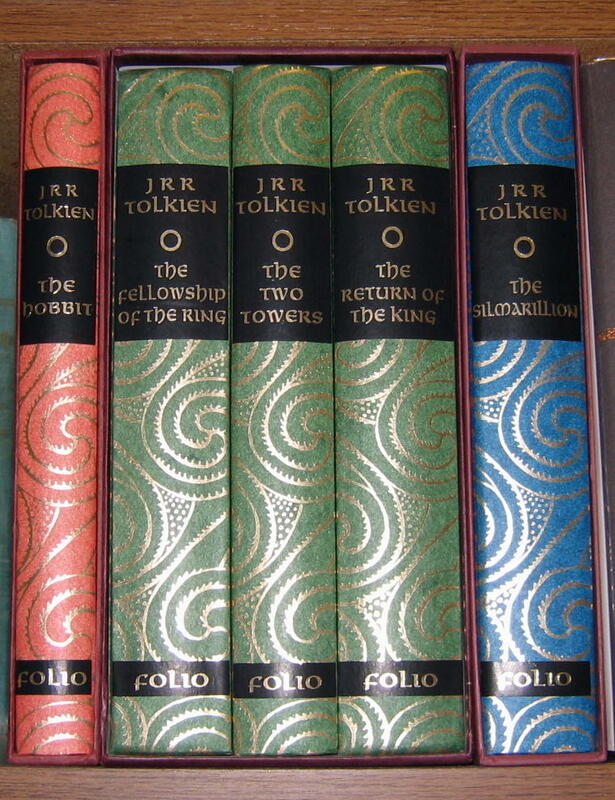 #000338 - Folio Society - The Hobbit, The Lord of the Rings, and The Silmarillion - $270.00 A wonderful matched set made of high quality acid free paper, and bound in full vegetable parchment to create a beautiful set of Tolkien's works. 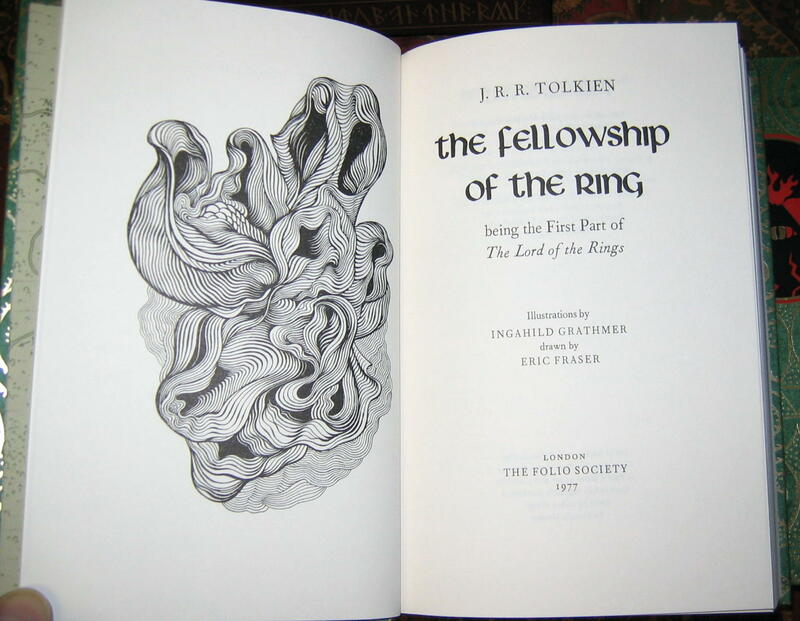 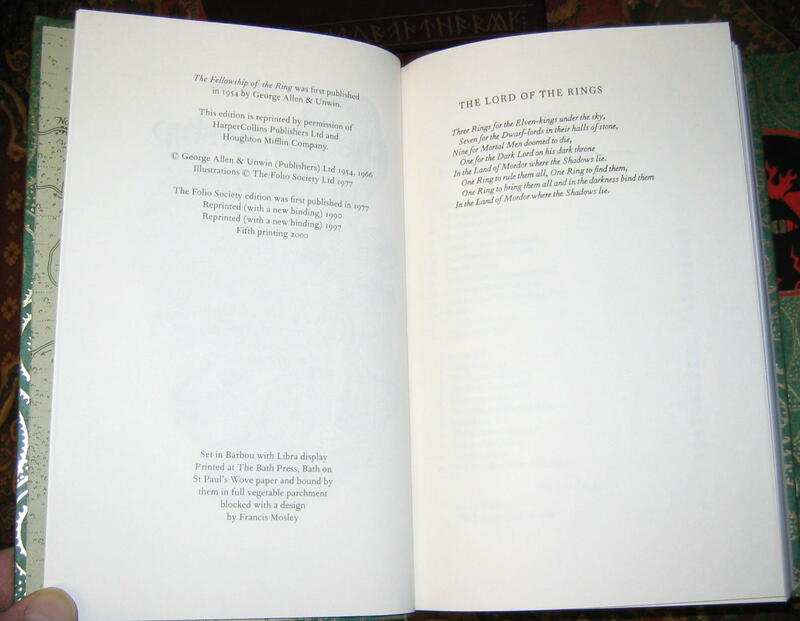 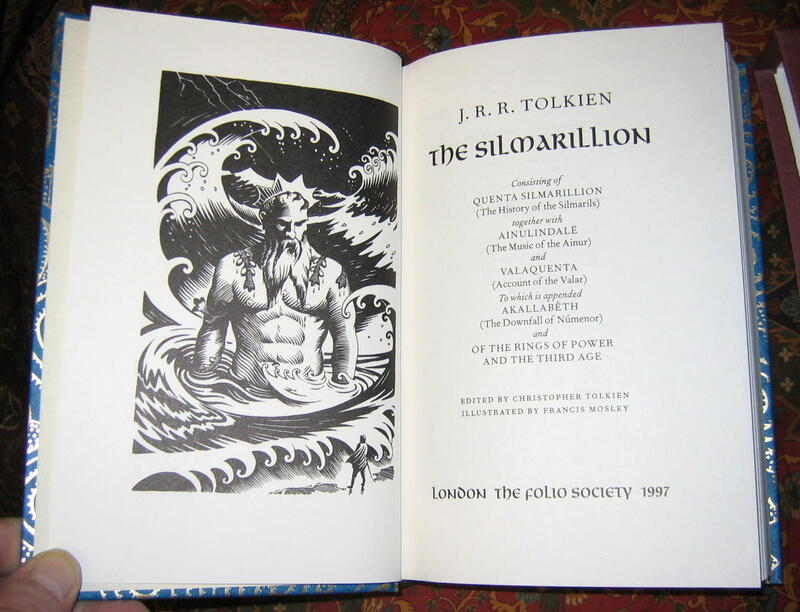 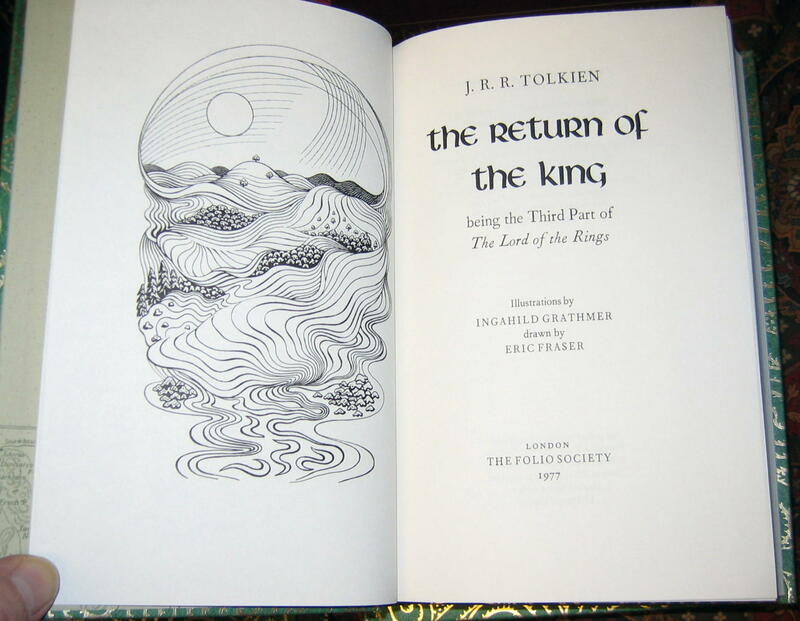 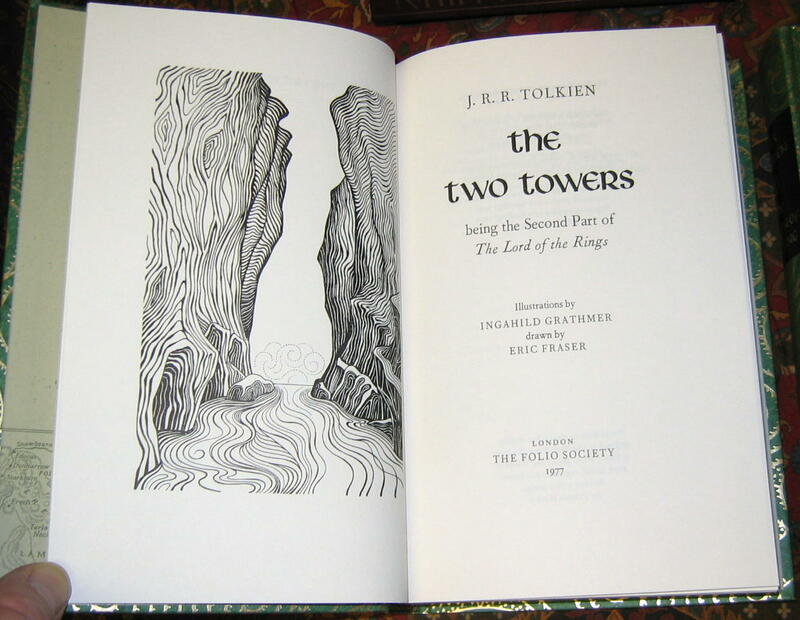 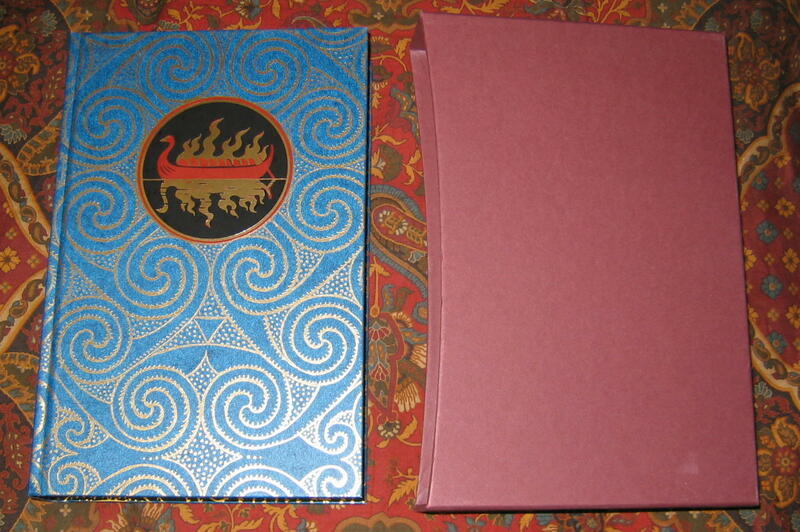 Published by the Folio Society in 1999, 2000, and 2002. 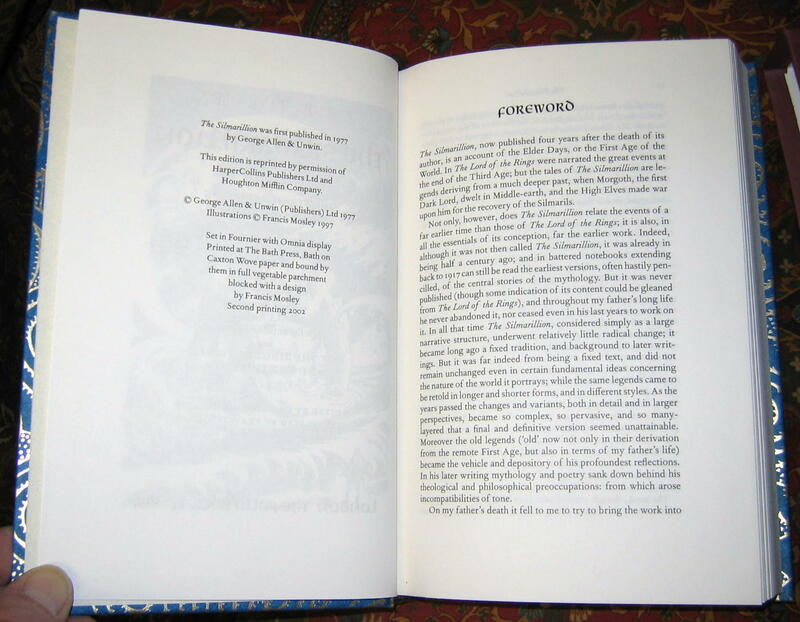 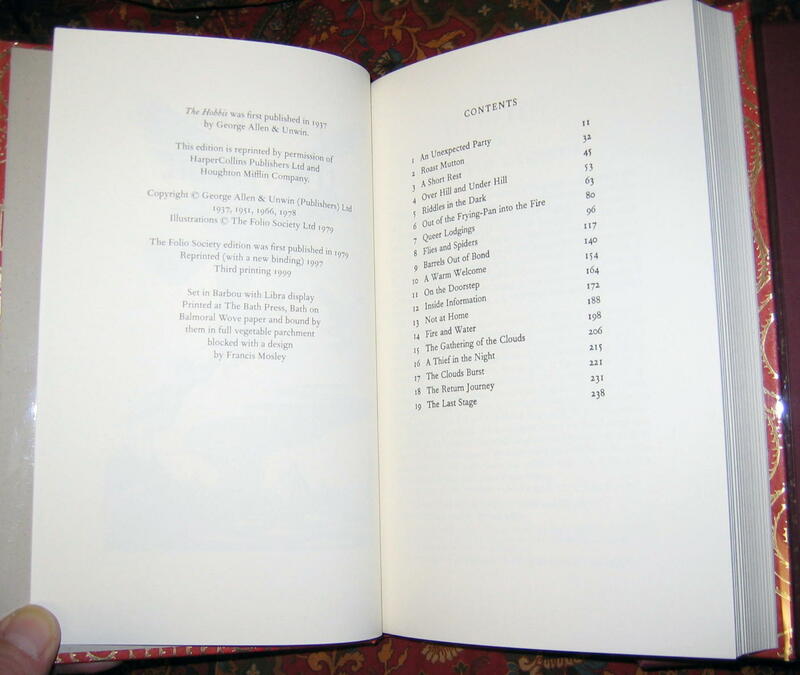 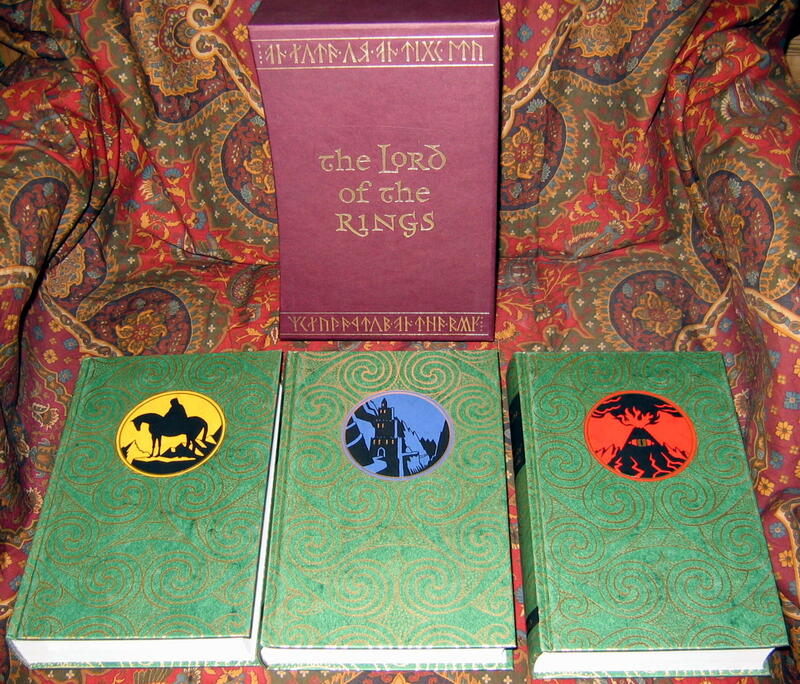 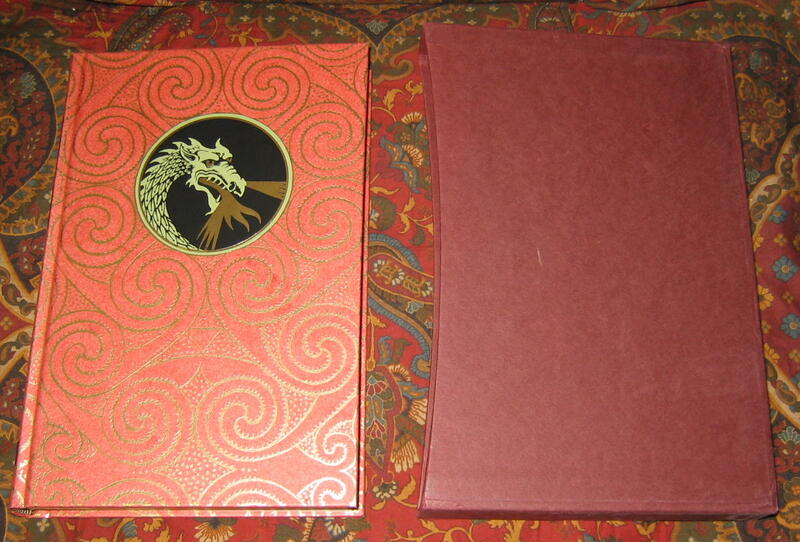 All three issues are housed in their own seperate publishers slipcase, and are in Near Fine condition.